It’s so much fun to watch babies as they do their scientific experiments. That’s always how I have thought of the work they do as they play. When nothing uncomfortable is distracting them they can work for long periods repeating tests on the materials in their lab to learn about the properties: how things taste or feel on the gums, what sounds they make when knocked together, and so forth. 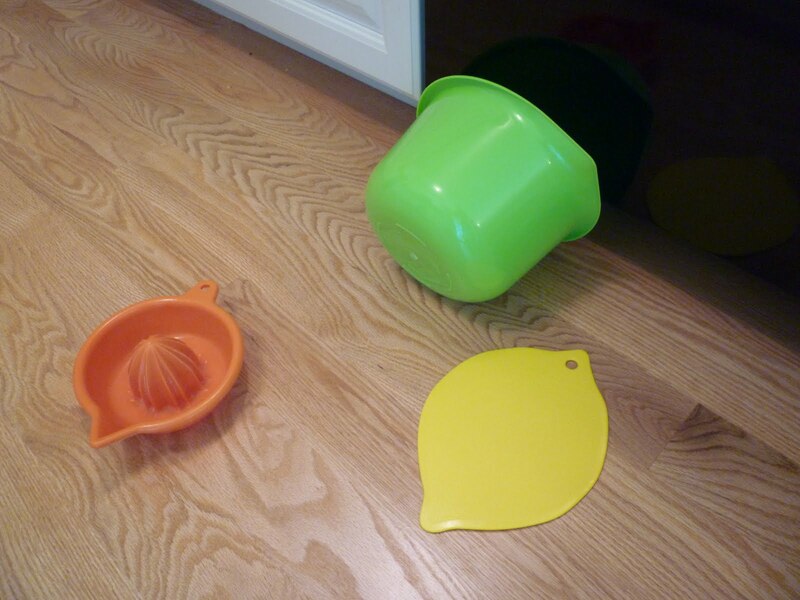 Seventh Grandson is with us for a few days and I brought out my boughten baby toys, some homemade ones, and the usual kitchen gadgets and cardboard boxes that babies love. 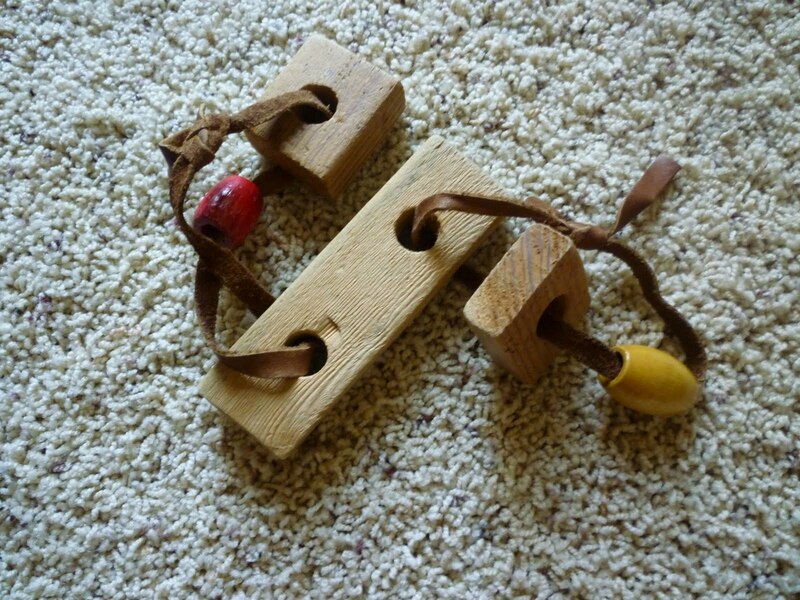 This contraption made with leather and blocks might have been made by Baby C.’s own mother for her little sister many, many years ago. Or maybe for a nephew, maybe even by a different aunt. One of the children did set me straight on this but I seem to persist in holding to my Scrambled Maternal Myths. Perhaps the project was inspired by the book, No Bored Babies. I love to give the book to older children in a family where a new baby has just arrived, providing them one more way to be involved in caring for the younger brother or sister. The author shows many ways to take inexpensive raw materials like cardboard or cloth and make toys appropriate for the increasing skills and changing interests of children in their first couple of years. When children start playing outside by themselves they collect their own materials, the favorite being sticks. 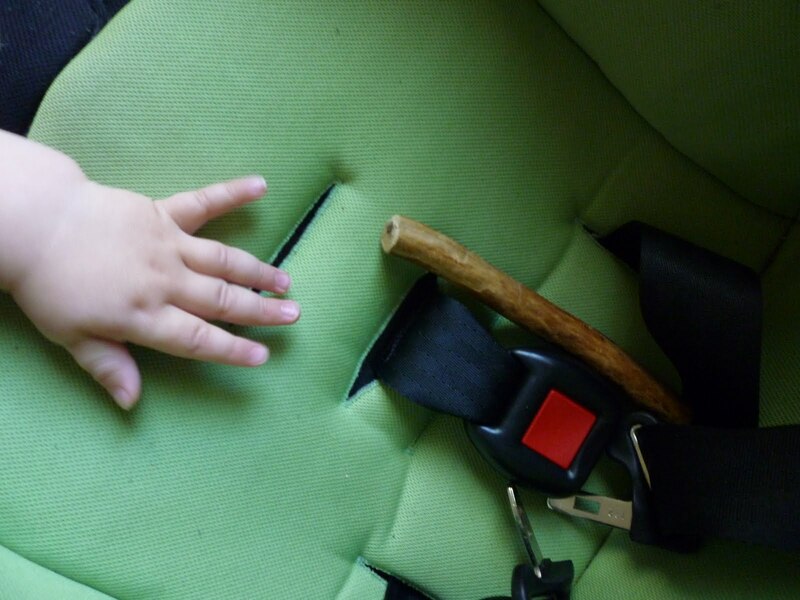 As I was getting ready to load Baby C. into his car seat, I noticed that his parents have thoughtfully already supplied him with his own First Stick, carefully chosen and sanded for safe science experiments. Brilliant! I like to give Samantha items from the kitchen drawers. I ordered the Kristin book. My library didn't have it. I am going up to Washington in less than two weeks and I shall read some of it aloud to my dad. I hope it comes soon. Lately, Amazon has been speedy and it makes me order more books! I love it! Baby's first stick, all sanded and smooth. I so agree with you that children's toys should be simple for it seems those hold their attention and bring on creativity best. 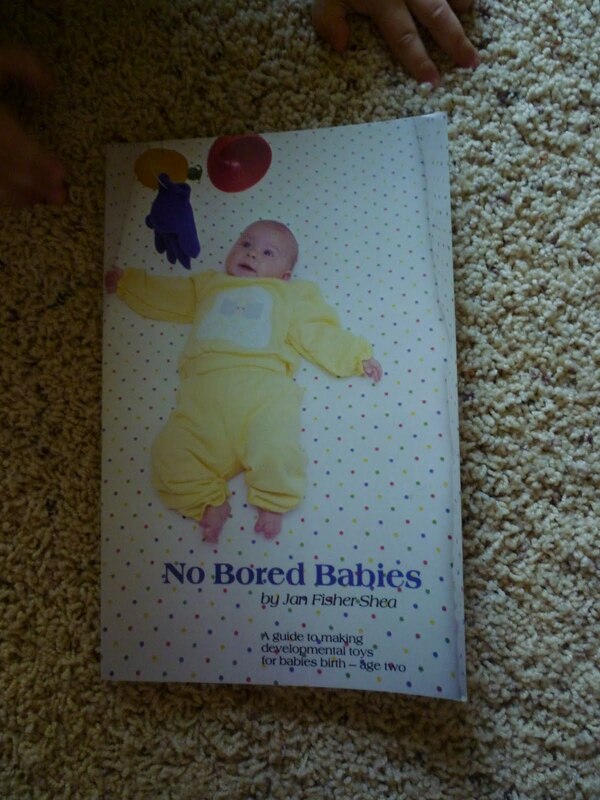 I'm going to look for the No Bored Babies book.